Gunmen have killed Yakubu Mama, an official of Miyetti Allah Cattle Breeders Association of Nigeria (MACBAN) for exposing criminals in Keffi-Karu-Abuja axis to security operatives. The Nasarawa State Chairman of MACBAN, Muhammed Hussaini, told Daily Trust that the gunmen stormed the deceased’s residence Tuesday night in Agwan Toni, Karu LGA and whisked him into the bush where they murdered him. MACBAN officials, vigilantes and police Special Anti-robbery Squad (SARS) helped in the recovery of the corps which was buried yesterday in Karu. Hussaini said that the late Mama had been giving information that had helped in tracking down high profile criminals, armed robbery syndicates, and cattle rustlers to security operatives in Keffi, Karu and Abuja. Hussaini added that the deceased had also contributed useful information that had averted clashes between farmers and herders in Keffi and Karu LGAs. 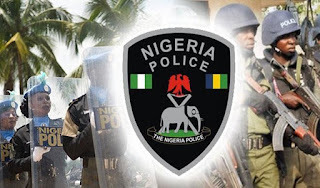 When contacted, the Nasarawa State Police Public Relations Officer, DSP Idrisu Kennedy, said he had not been briefed on the incident by the DPO handling the area.